A Multi-Year Guaranteed Annuities (MYGA) is a hybrid of a fixed annuity and CD. The MYGA guarantees a fixed rate for the entire duration of the contracts terms, anywhere from 1 to 10 years. Rates range from 3-10%, depending on the insurance company, national interest rates, and the chosen contract term. The key distinction between a MYGA and fixed annuity is the term of the guaranteed rate. A MYGA annuity's rate is guaranteed for the full contract term. Fixed annuities, although offering the same guaranteed rate, only guarantee it for part of the term. An 8 year, 6% fixed annuity might guarantee this rate for only the first 5 years. An 8 year, 6% MYGA annuity guarantees its rate for the full 8 years. The MYGA annuity offers many of the same features as a typical CD. Difference number one is that CDs are issued by banks/brokers while MYGA annuities are issued by insurance companies. This means that CDs are insured by the FDIC up to $100,000 for non-retirement accounts. Annuities are not FDIC insured, but are safeguarded by individual state reserves. Annuity coverage varies state-to-state, ranging from $100,000 to $300,000. A second difference is that MYGA annuities can be rolled over without triggering a tax-event. Using what's known as a 1035 exchange, the MYGA annuity owner can transfer money from one annuity to another without showing an income. This is not possible with CDs, which generate income statements every year. A third difference is that you can make partial withdrawals from a MYGA annuity. Unlike a CD, a typical MYGA annuity will allow you to withdrawal up to 10% of the initial investment annually. This feature is very desirable because it covers unexpected withdrawal needs. In contrast, liquidating even part of a CD requires you to cash out the whole thing and pay a sizable surrender charge. Other features of MYGA annuities include the ability to withdraw interest as monthly income and the 10% IRS tax penalty. The first is a positive, the second is a negative. Remember that all annuities are subject to a 10% tax penalty when liquidated prior to the age of 59.5. Should I Invest in a CD, Fixed Annuity, or MYGA Annuity? As for choosing between fixed and MYGA annuities, there's really little difference. With near identical benefits, go with whichever annuity happens to offer the higher rate. 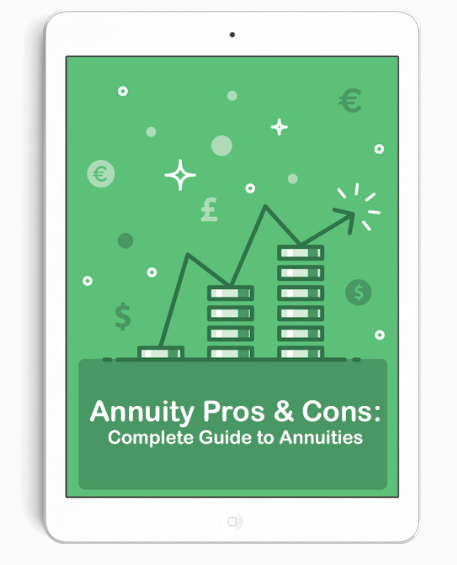 Just keep in mind that fixed annuities don't necessarily guarantee their rate for the full term.